Thank You To Our New Friends At Samaritan’s Purse! Our friends at Samaritans Purse generously donated 4,022 lbs. of food and medical supplies to be sent to the orphans and refugees along the Kyrgyz/Uzbek border. We wish to send our blessings, and our gratitude! This shipment, the first of this size and importance, is earmarked specifically for the orphans (and refugees) produced by the recent racially-motivated violence there. It is our hope to be able to send aid to sites of international crises around the globe. We plan to ship within the next two weeks. The Fishermen is beginning its first ever local fundraising campaign to raise the money to ship. Expect to see lots of flyers and coin jars around Raleigh, NC! The Fishermen attended our first community event! Alexander Gowen, Director of The Fishermen. 04/17/10. We were sure to have at least one person present to answer inquiries at all times! We all took shifts, and worked smoothly together. 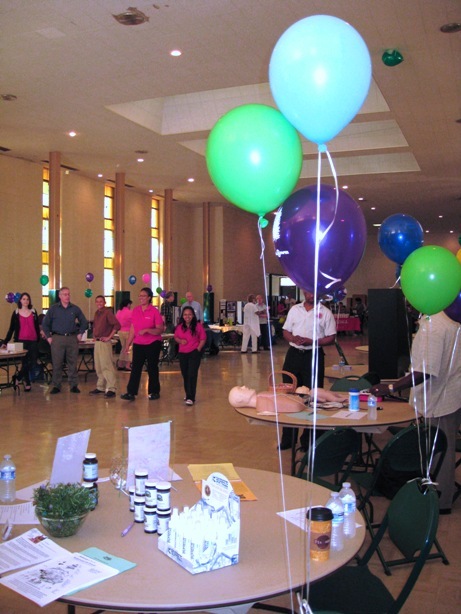 The April 17th Health Fair hosted by St. Raphael’s Catholic Church was a great success! A big thank you to Beverly Simmons and the folks at the Social Justice Committee for allowing us the opportunity to participate. 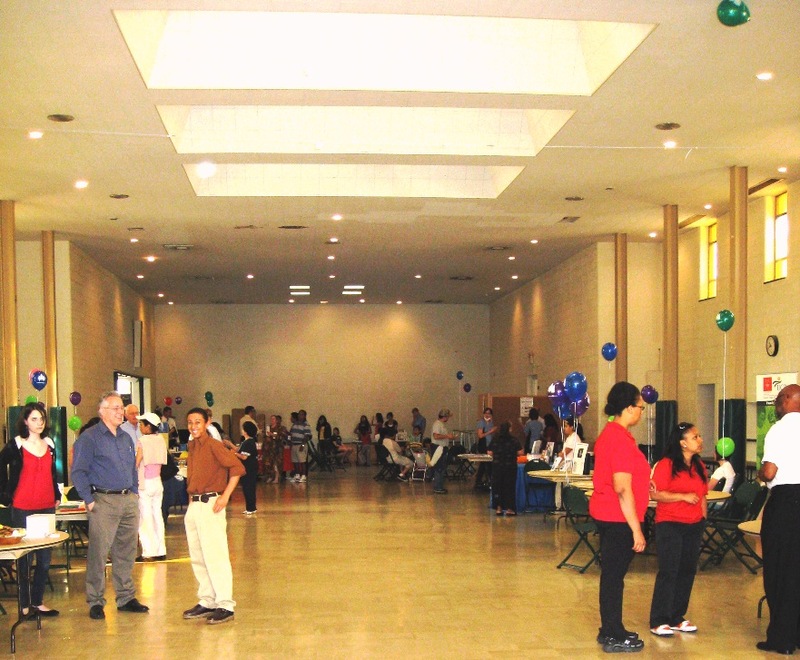 We were able to connect with interested individuals and medical groups from all over the Triangle. We were even able to pull in two enthusiastic volunteers for the event, our friends Richard and his daughter Claire. Their combined support, expertise, and passion were and are an invaluable resource. Thank you, guys, for a great day and a job well done! 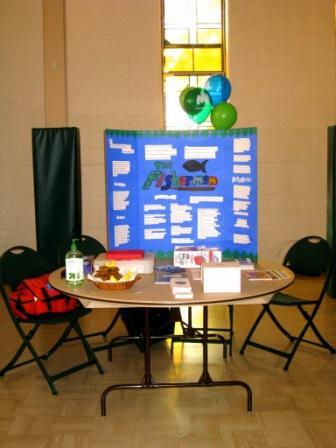 04/17/10 Our display at the St. Raphael's Health Fair, with Richard Wilson, his daughter Claire Wilson, and myself standing to invite folks to talk...and for Alex to take a picture! Photo by Alex Gowen. Left to Right: Claire, Richard, and Alex. 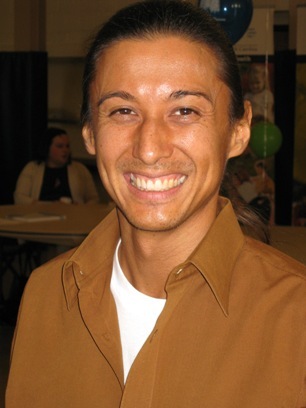 Richard has great expertise and a big heart, both of which are manifest in his passion for our cause! 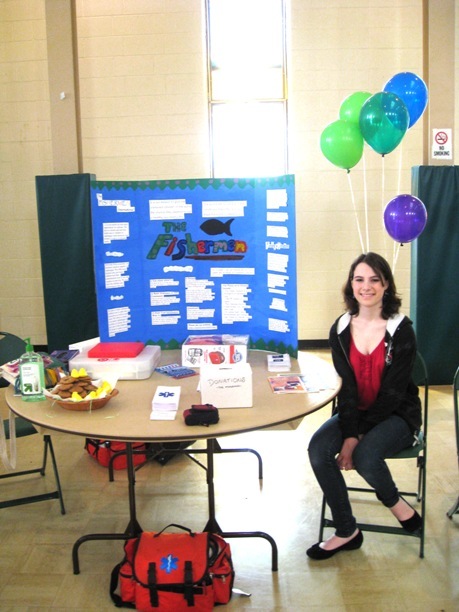 Our beautiful display board really brought everything together, courtesy of Claire Wilson. Everyone walked away with new knowledge and a positive attitude!